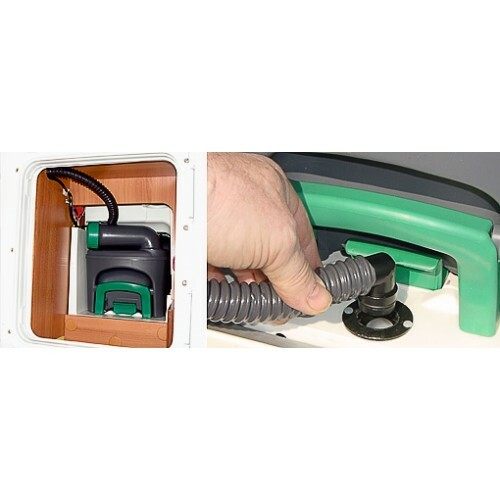 Our special roof outlet gives users the option of ventilating our SOG®systems through the roof. The waste holding tank is connected to the roof outlet by a pipe. 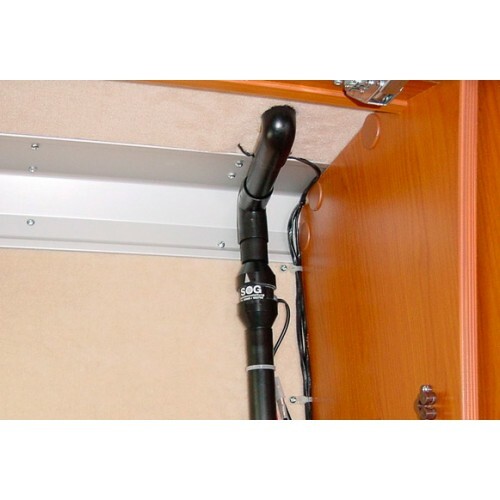 The high-performance fan is installed directly under the roof outlet and provides sufficient negative pressure, even in the case of pipes that are up to three metres long. 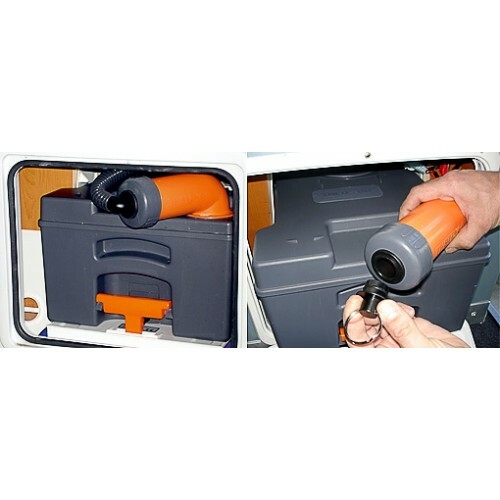 A gas-tight sanitary hose, a tried and tested product available in caravan accessory shops, is the easiest connection to install when retrofitting a roof ventilation system. 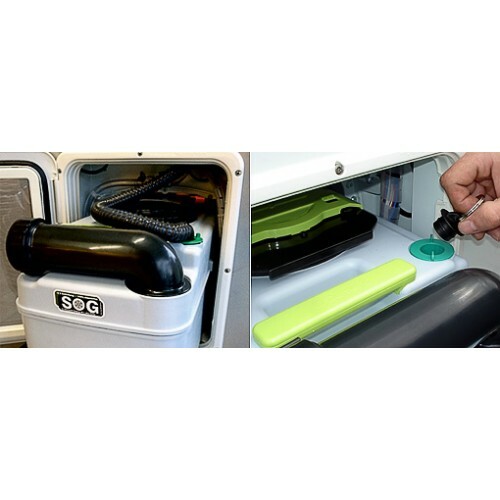 The parts supplied are coordinated to fit a sewage pipe system available from specialist camping retailers (this also applies to the SOG®II model). The roof ventilation system is maintenance free because no filter is needed. Given that some aspects of the retrofitting process are extremely complex, this model is mainly installed by manufacturers as original equipment.